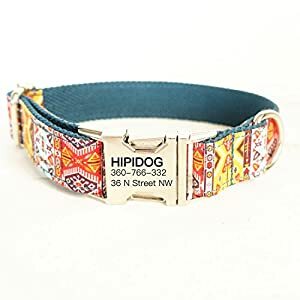 Dog Collar with Name Plate (Unique ID Custom Collar for Your Dog): We offer laser engraving service, Text on metal buckle will last for years, best anti lost dog collar. 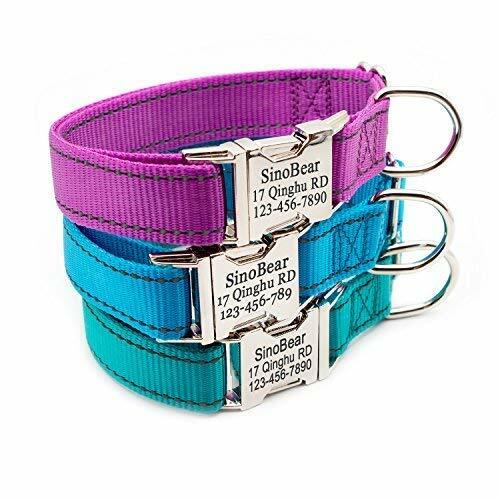 Easy to Order: Please click “Customize Now” button to choose collar color, Collar Size and Leash, input your Pet Name, Address and Phone Number. XS size is available now: XS size collar is much smaller and lighter (0.6 inch wide and 35 g weight, perfect for dogs 5~10 lb). 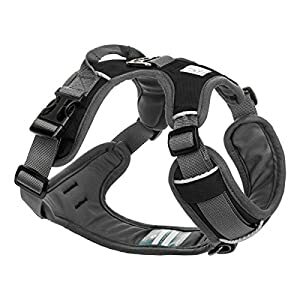 4 Adjustable Size for Dog’s Neck: XS (10-15 inch)-0.6 inch wide S (10-15 inch) M (12-19 inch) L (14-22 inch). 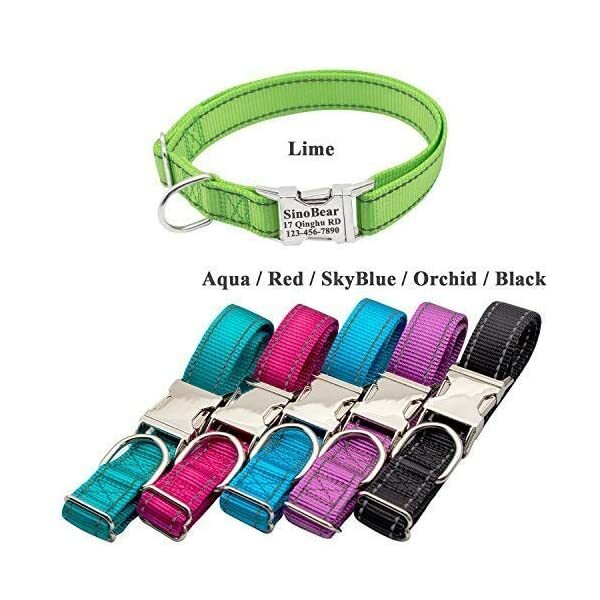 Now Color Matching Dog Leash is available ( 47 inch long and 1 inch wide with 2 handles). 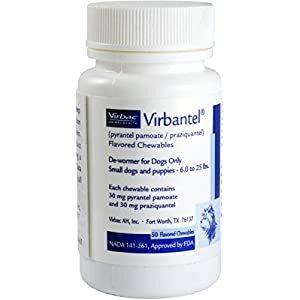 We are experts in the case of making sure your dog is in style, but we also know how important it is to keep your pup secure. 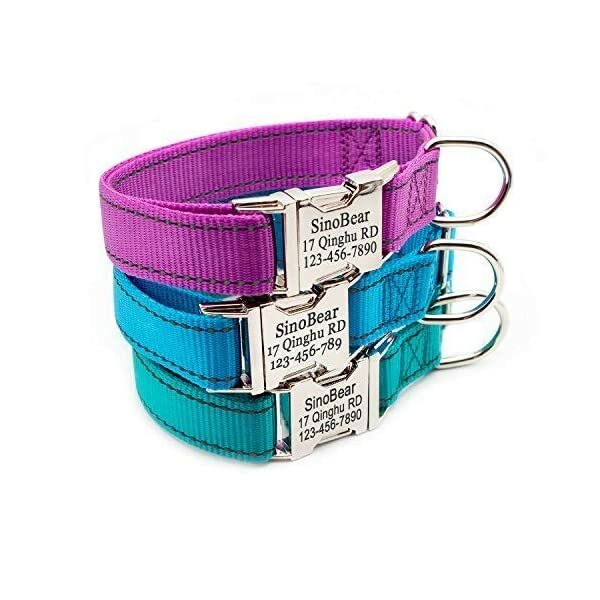 With our Laser Engraved Custom Personalized Classic Cotton Dog Collar, the most productive of both worlds colide to create a super good taking a look dog collar with your entire dog’s important info engraved right onto the buckle! * Handmade ID Collar for your Pet: We offer laser engraving service, Text on metal buckle will last for years, best anti lost dog collar. 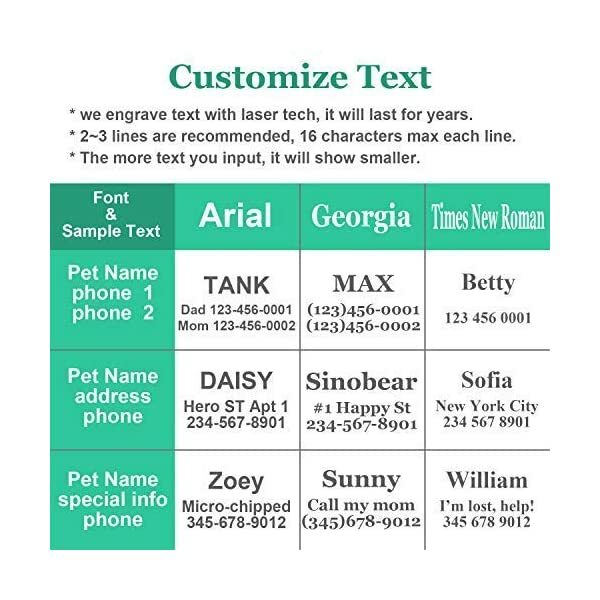 * Please click “Customize Now” button to select collar color, Collar Size, and input your pet name, address and phone number or any other text (15 characters * 3 lines maximum). * XS size is to be had now: XS size collar is much smaller and lighter, perfect for dogs 5~10 lb. 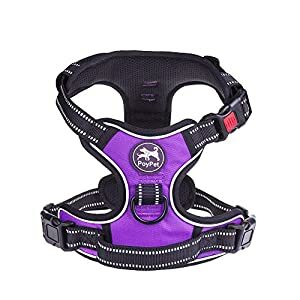 * Adjustable Size for dog’s neck: XS (10-15 inch)-0.6 inch wide S (10-15 inch) M (12-19 inch) L (14-22 inch), fit for small, medium, large dogs. 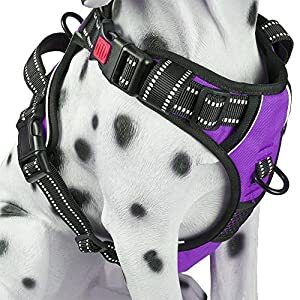 * Durable Strong Metal Quick-Release Buckle: You would be capable to quickly and conveniently remove your dog’s collar in most emergency situations. 1. Red Color is a little like Rose Red or Hot Pink, Not pure red. 2. We ship the parcel from China, you’re going to wait for 2-3 weeks to receive your parcel, thanks for your orders. 3. Warranty: 1 year quality warranty guarantee, if you meet any problems, please feel free to contact us for reinforce, thanks. 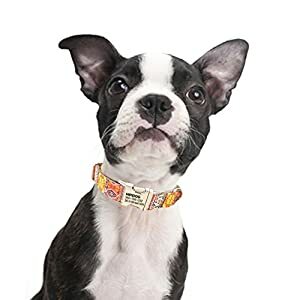 Dog Collar with Name Plate (Unique ID Custom Collar for Your Dog): We offer laser engraving service, Text on metal buckle will last for years, best anti lost dog collar. 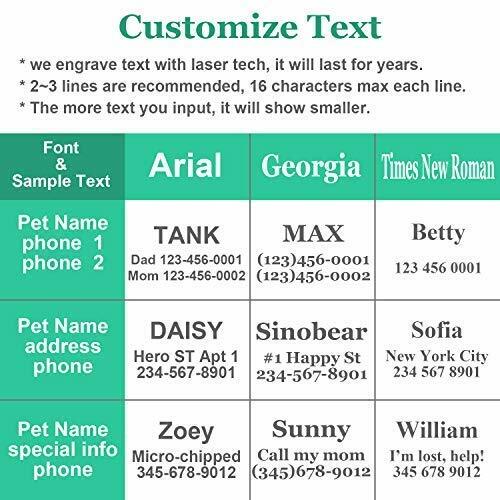 Easy to Order: Please click “Customize Now” button to select collar color, Collar Size and Leash, input your Pet Name, Address and Phone Number. XS size is to be had now: XS size collar is much smaller and lighter (0.6 inch wide and 35 g weight, perfect for dogs 5~10 lb). 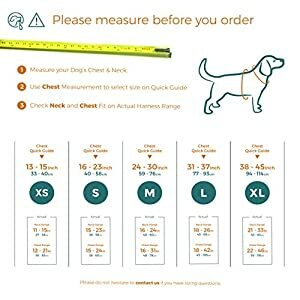 4 Adjustable Size for Dog’s Neck: XS (10-15 inch)-0.6 inch wide S (10-15 inch) M (12-19 inch) L (14-22 inch). Now Color Matching Dog Leash is to be had ( 47 inch long and 1 inch wide with 2 handles). Reflective Dog Collars: incorporate reflective threads that ensures that the dog will be seen at night by approaching vehicles. 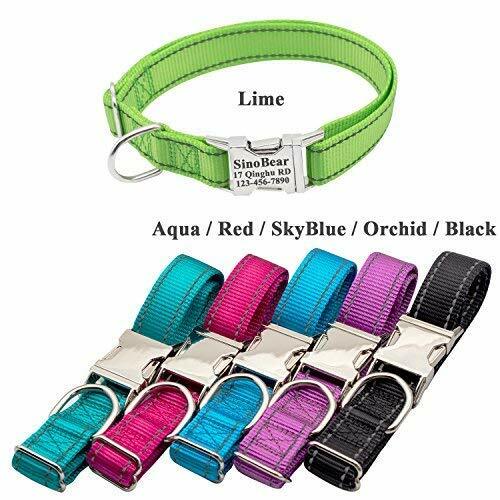 Strong Durable Metal Quick-Release Buckle: You would be capable to quickly and conveniently remove your dog’s collar in most emergency situations.